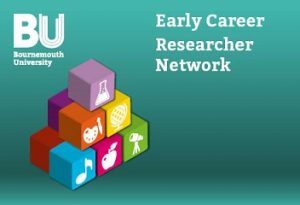 Early Career Researcher Network Launch on 12th September – Book Now! On Wednesday 12th September, BU will be launching its new network specifically for our Early Career Researchers (ECRs). 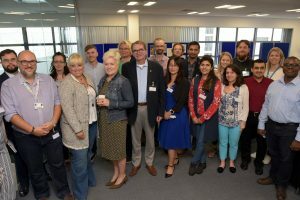 This initiative underlines the support that is being made available to ECRs as part of the Vitae Concordat to Support the Career Development of Researchers. During the day, attendees will have the opportunity to shape the future of the network and contribute to the activities that will take place during the year. Specifically, in the morning, the network’s academic leads (Ann Hemingway and Sam Goodman) will facilitate participative and exploratory sessions to make sure that the ECR Network works for you, the BU ECRs. After a networking lunch, ECRs in receipt of Acorn Fund awards will present an overview of their research. This will be followed by a ‘showcase’ opportunity for other ECRs to promote and discuss their research with attendees. The morning sessions are open to ECRs and the lunch and afternoon open to all BU academic staff but especially ECRs. To book your place, please email RKEDevFramework@bournemouth.ac.uk, stating if you wish to attend the morning, the afternoon or both, along with any dietary requirements. Securing funds from British Council to organise a Newton Funds Researcher Links workshop required good effort and persistence. Careful consideration of the feedback from an unsuccessful submission helped identifying where improvements were needed – we were successful in our second attempt. I believe the most important factors contributing to the success of the application were: the theme is topical and relevant for both countries (UK and South Africa), including active world-recognised researchers as mentors, having trach record of work and good connections in the host country (South Africa in this case). I have already being to South Africa delivering workshops to public sector practitioners on a similar subject funded by the South African National Research Foundation. 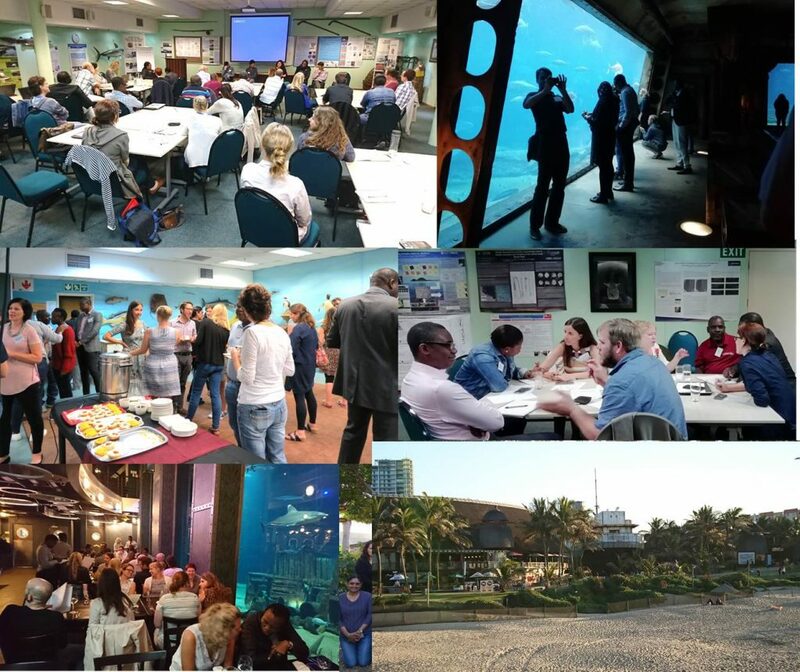 The workshop focused on ‘Research capacity for sustainable ecosystem-based management of estuaries and coasts’ and it was held on 19-21 June 2018 at the uShaka Marine World in Durban. 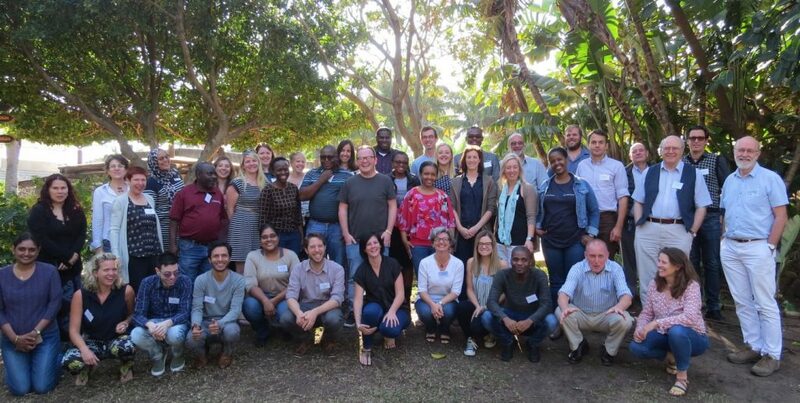 There were 42 participants, 23 from South Africa and 19 from the UK, including early-career researchers from natural and social sciences backgrounds, established researchers and government practitioners involved in policy-making or implementing policy related to management of coasts and estuaries. I coordinated the workshop in collaboration with Professor Trevor Hill from University of KwaZulu-Natal and had a great support from Bronwyn Goble from SAAMBR/ Oceanographic Research Institute and Katie Smyth (University of Hull). The contribution from Mike Elliott (Hull), Andrew Cooper (Ulster), Ursula Scharler (UKZN) and Alan Whitfield (SAIAB) as mentors was greatly appreciated for the support and inspiration given to the early career participants. Participants of the Researcher Links workshop entitled ‘Research capacity for sustainable ecosystem-based management of estuaries and coasts’ (19-21 July 2018, Durban, South Africa) coordinated by Dr Luciana Esteves (Dep Life & Environmental Sciences, SciTech). I can only say that the experience of engaging with such talented and vibrant group of early career researchers and stimulating open discussions about career directions and prospects, focusing particularly on the importance of international collaboration and closing the research-practice gaps was truly rewarding. It was uplifting to see the connections building between UK and South African researchers and how links with government and NGO practitioners were providing a new direction to the career of some participants. From day 1 participants were talking to each other as old colleagues and engrossed in the activities proposed. No wonder some came out with clear plans on how they will work together, from designing teaching material to collaborating in research proposals and papers, consolidated the links created during the workshop. These links are evident in the action plans participants were asked to produce at the end of the workshop. 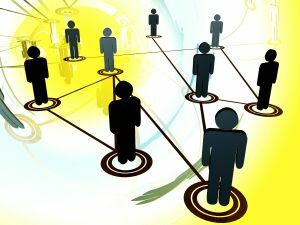 in South Africa, the integration between social and natural sciences in research projects seems to be less common than currently in the UK – perhaps in South Africa, trans/interdisciplinarity have not had the push from funders as it has been observed in the UK and the EU in recent years. Besides lots of discussions, the activities included a visit to the marine aquarium, networking during coffee breaks and a fantastic dinner at the Cargo Hold restaurant (the boat you see on the bottom right). There is still time to sign up for the second run of the online course for research students and research staff – Career Management for Early Career Academic Researchers. 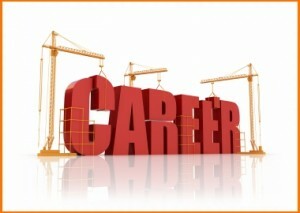 It aims to support researchers to explore their career options and make career plans. According to the organisers, more than 1000 research students and research staff from across the UK and beyond engaged with the first course in March, with a few comments from participants given below. This course has been fantastic, particularly as I am at a stage where I am finishing my PhD and was worrying about what comes next. I didn’t realise a lot of the things about academic and non-academic career paths, and have found the self reflection tasks invaluable. The course is impeccably designed, perfectly structured and neatly organised. My motivation to take control of finding my future career has increased exponentially from the day I started this course. Through a series of articles, videos, discussions, and reflective exercises, researchers will be encouraged to consider what they want out of a career; to explore the academic career path and many other career options; and to increase their confidence in job search and applications. The MOOC is a collaboration between the University of Glasgow, University of Edinburgh, and University of Sheffield, and has been developed by careers professionals who are experienced in working with research students and research staff. It’s a free online course and open to research students and early career research staff at any institution in the UK and beyond. 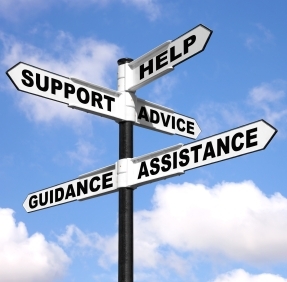 It may be particularly useful for researchers who are unable to access any on campus support due to other commitments, or for researchers in institutions that are unable to offer any dedicated careers support to these groups. Would you attend a workshop on Writing and Presenting for Non-academic Audiences? Calling BU’s Early Career Researchers and Post Doc Research Assistants! Increase your the impact for your research outside the academic environment. Please let us know by Friday, 11th May, via this email. If we have positive replies, we would look to run this one-day event in mid to late June (TBC). EPSRC is holding two one-day workshops for Early Career Researchers who work in the area of Physical Sciences. This is a great opportunity for BU ECRs (especially those who are new to funding) in these areas to get a first hand insight to strategies and policy changes, and to network with peers and funders. The workshops will provide an update to EPSRC and Physical Sciences strategies and will communicate recent and upcoming policy changes, such as the New Investigator Awards. The workshops will be attended by a number of EPSRC staff but also by experienced academics and current or previous Early Career Fellowship holders from across the Physical Sciences portfolio who will provide guidance and mentoring. The workshops will also include opportunities for networking with other ECR colleagues. EPSRC anticipate this event will be of greatest interest to Physical Sciences researchers who are eligible to hold an EPSRC grant and hold few or no grants as a Principal Investigator. To develop early career researchers understanding of EPSRC, including strategic priorities and funding mechanisms. To develop relationships with Early Career researchers who will become future advocates for EPSRC. Those wishing to attend the workshop should complete the Expression of Interest (EoI) form on this page. This will be used to select participants based on their justification of attendance as described in their EoI submission and will take into account how their research aligns to the EPSRC Physical Sciences remit and research areas. In addition, EPSRC will also ensure a balanced representation of organisation, research area, expertise and career stage. Places are limited and the number of participants from a given organisation may have to be restricted in the event of multiple applications. Selection will primarily be based on the justification of attendance and completion of the survey is not a guarantee of attendance. The EoI will close at 17:00 on 31 January 2018. If you do get a place, please let your RKEO contact know as we are interested in what information will be shared, particularly if there are new initiatives for ECRs. NERC is undertaking an evaluation of its support for Early Career Researchers (ECRs) to be completed in 2017. This evaluation is the first of its kind to be undertaken by NERC to gain a better understanding of the challenges and issues facing ECRs during this crucial period for their career development. 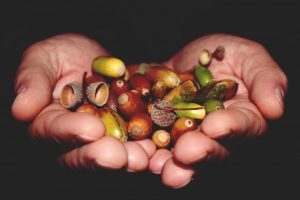 The outcomes of this evaluation will determine whether current NERC strategy and activities are effective at maintaining a healthy research base for the environmental sciences, and ensuring the training and opportunities available for NERC ECRs are appropriate for facilitating success in the broad range of careers they enter. The evidence to inform this evaluation will be collected through an online survey developed by market research specialists, DJS Research, NERC, and its advisory boards. The audience for this survey is primarily ECRs within NERC’s remit but it also provides the opportunity for employers of ECRs and other key stakeholders to provide feedback. This survey will be complemented by case study interviews to provide further information concerning the insights arising from the survey and explore in greater depth the challenges facing ECRs. The online survey will run from 3 August to 2 October 2017 and NERC intends to publish the findings of this evaluation in December 2017. 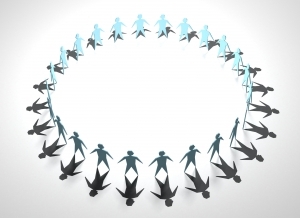 E PSRC is inviting Outline Proposals for EPSRC Challenge Fellowships in the LWEC theme. Fellowships are offered at both the Postdoctoral Fellowship and Early Career Fellowship level. How can our cities, their hinterlands, linking infrastructure, rural surround and the regions they are in, be transformed to be resilient, sustainable, more economically viable and generally better places to live? EPSRC‘s Living With Environmental Change theme is keen to support the next generation of leaders in adapting to and mitigating climate change. This is a strategic activity focusing on a key challenge within the EPSRC LWEC theme and on bringing new thinking into the area. A previous call was issued on this topic in 2015 and eight Fellowships funded. The balance of the research described in the application should be within the remit of EPSRC. They would particularly like to encourage applicants from across the EPSRC research landscape to apply. If you are interested in applying for a fellowship then please contact your RKEO Funding Development Officer in the first instance. Also, take a look at our fellowships guide on the blog to see what the procedures are for applying through BU. contributing to BU’s culture of equality and diversity. The Board is chaired by a Senior HR Manager with support from the Equality and Diversity Adviser and a member of the Research and Knowledge Exchange Office. These post-holders will be selected based on their prior knowledge and expertise in individual staff circumstances and equality and diversity issues. Membership will also include three academics and an early career researcher (ECR). 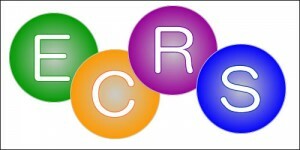 We are now seeking expressions of interest from ECRs who are interested in joining the Circs Board. Successful applicants will be required to attend meetings of the BU REF Circumstances Board (schedule tbc, but likely to be one or two meetings per year), be aware of the REF guidance and regulations, undertake equality and diversity training, and promote a positive culture of equality and diversity at BU. We therefore ask for your commitment, active contribution and, most importantly, confidentiality due to the sensitive work of the Board. In return you will be involved in an important cross-University committee, gain an insight into the REF and equality a diversity (both highly topical issues in the sector), and be engaged in academic citizenship. Anyone interested should submit an expression of interest stating your interest in equality and diversity, why you think equality and diversity is important for the REF and why your involvement would strengthen the BU REF Circumstances Board (max 300 words). Your nomination should state your name, job title and Faculty. The deadline for expressions of interest is Friday 29th January 2016. 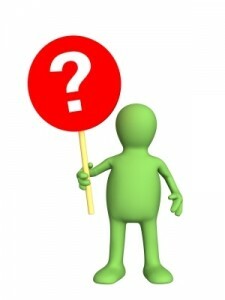 Nominations should be emailed to Julie Northam, Head of Research and Knowledge Exchange (jnortham@bournemouth.ac.uk). Applications are invited from any BU staff member on an academic contract, however, you must be independent from REF preparations (for example, applicants cannot be UOA Leaders, impact champions or output champions). They undertook independent research, for example, leading or acting as principal investigator or equivalent on a research grant or significant piece of research work. If you have any queries, please speak with Julie Northam in the first instance.